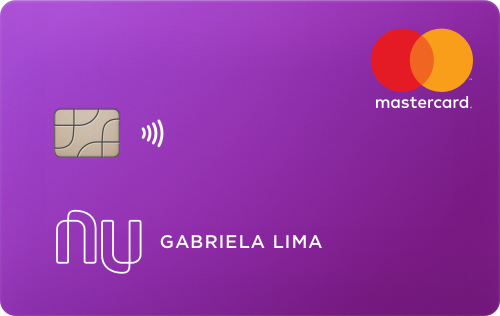 Recently we launched a stunning new card, a bold update to our “roxinho” (or purple-y)— as our earliest Nubank customers nicknamed our credit card. Since the first purple card and mobile app back in 2014, Nubank has grown from a few family and friends users to more than 5 million customers. But this year we really tried to spice things up and provide a step change improvement in our product offering. Therefore, not only did we launch NuConta and a whole new product experience but we also decided to rethink our purply buddy. Designers at Nubank don’t limit themselves to a specific role. Our new card came from a year of collaboration between Product and Brand Designers working together to align this new physical product to our overall product vision, with several co-designs, physical prototypes, user interviews, and some visits to the card factory. Our first card was a surprise to everyone that was used to have mostly gold, grey, orange and blue cards from traditional banks. 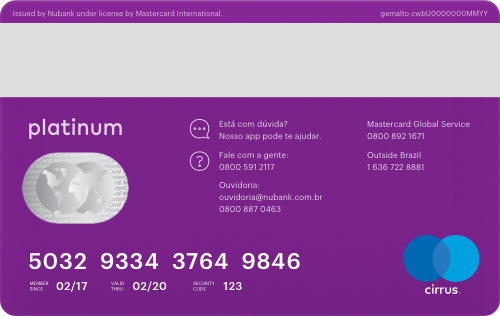 Suddenly a purple card, the “roxinho”, started to appear in people’s wallets, becoming one of our trademarks. Until this current redesign we made only minor updates, such as a new exclusive purple plastic and a silver magnetic stripe. As a company, our customer experience is one of our more valuable assets: we always listen to our customers and we work backwards from the customer’s real needs. As our products have become more well known and more customers get to enjoy the Nubank experience, we have noticed that people tend to celebrate these moments when our product arrives by posting on social media to tell their friends. One issue, however, is that in this excitement our customers will post a picture with the card numbers visible in front, increasing the risk of fraud. We modified our welcome kit to minimize these risks, but we knew that a change in the product itself was needed. 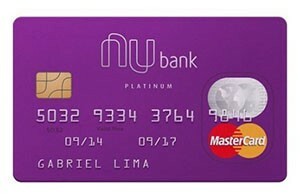 The new card is more than your “roxinho”, it’s your Nubank ID, a badge indicating you are part of the new purple future. A card even more connected to our brand language, values, and also more friendly, beautiful, secure, and long lasting. In the front of the card there is only your name, similar to the new app, indicating a more personalized experience centered on your purple identity. All other sensitive information has been moved: the card numbers are now on the back, making it more secure when sharing or displaying your card. The new card is now the physical representation of the popular hashtag “#sounu” (or I’m Nu). We were looking for ways to have more impact on our customers, a card that shines in your wallet, with a new material and texture that follows the updates in our brand guidelines. The plastic in the middle is in Coral color, while the front and back are Purple. These color combinations give a special contrast making it easy to find in your wallet. We also made sure the most relevant information is visible when needed. To have a long-lasting product we employed a unique drop-on-demand inkjet printing technology for name and numbers, a subtle physical highlight on the most important information, which also avoids scratching and wear and tear. Also this card includes a new contactless technology, allowing customers to make quick payments. The new card is still rolling out to new customers and for reissues. If you already have the new card let us know what you think!